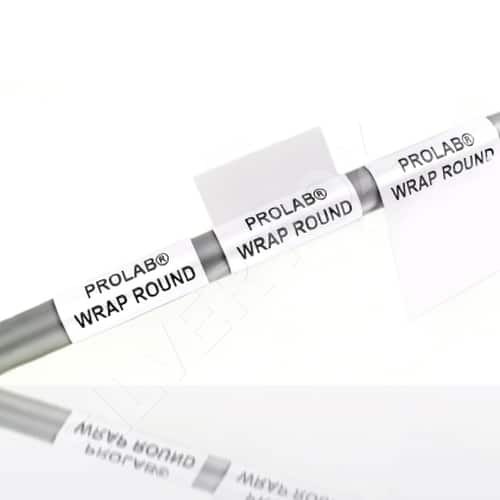 The Prolab® wrap round self-laminating labels are made from a durable polyester, for long term bonding to the cable they use a strong acrylic adhesive. The label sheet is specially constructed to ensure minimum “pre-delamination” when printing. We offer both 25mm and 50mm width labels, the latter is useful for longer ID’s. 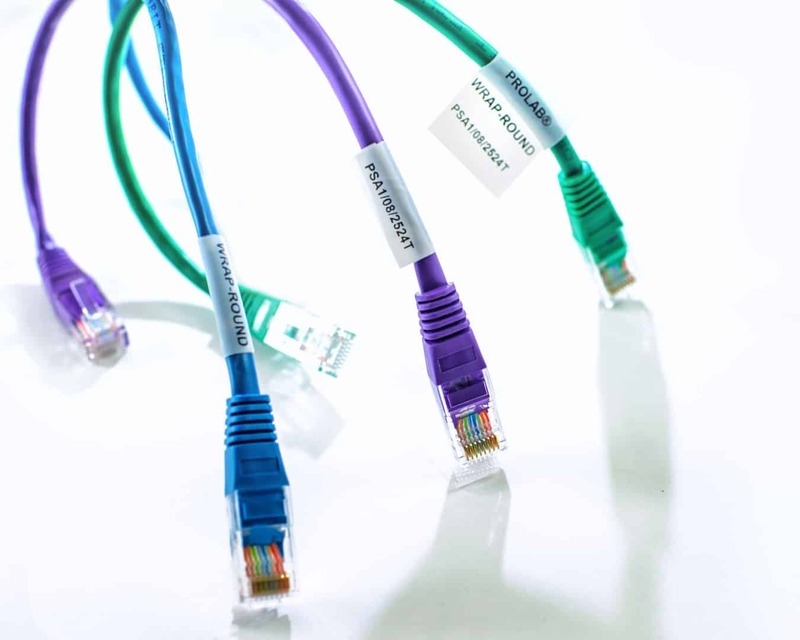 Typical applications include: LAN’s, Data Centres, and Industrial Ethernet as well as marine data applications. The finished printed labels (wrapped round a cable) have been successfully independently tested to 85°C for 1000 hours. They have also been tested for Salt Mist Spray according to Lloyds Register Type Approval System. Also consider colour blocking label background on white labels using Advanced/Professional software and colour laser printer. Resistor Colour-Coding option also available with Advanced/Professional software again with colour laser printer. Download free trials of Basic/Advanced/Professional with our entry level FOC Lite software. Print via ordinary office laser printer ideally with a straight printer path. 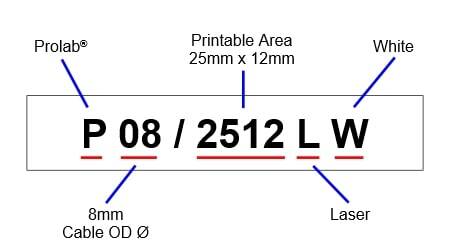 To print all around the cable, several labels offer deeper print area eg: P06/2519L. This allows you to print same cable ID all around the cable, meaning ID can be read from any side. ‘Repeat Previous Build’ functionality and multiple line options in Advanced/Professional levels, allow you to select more than one line and then quickly/easily repeat information from one line to the next. Or you can add extra information in the multiple lines.